LAS VEGAS, January 20, 2019 – ​With seven additional states legalizing sports betting since the end of last year’s football season, gambling experts expect that this year’s Big Game will mark the most money wagered on a single event in the history of regulated sports betting. VSiN (Vegas Stats & Information Network), the first network dedicated exclusively to sports gambling, is predicting that more than $300 million will be wagered within eight states when the New England Patriots take on the Los Angeles Rams in Atlanta on Feb. 3. To get to support this record-breaking forecast, VSiN Senior Reporter Dave Tuley analyzed Nevada's Big Game from the past 15 years and then extrapolated the limited available data from the seven states that have recently legalized sports wagering. 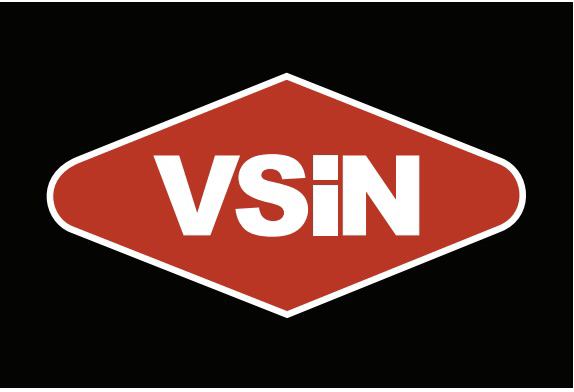 Beginning Friday, Feb. 1, through Monday, Feb. 4, VSiN will provide free access to broadcast coverage at VSiN.com, including in-depth analysis of Big Game lines and prop bets. During this Free VSiN Weekend, the network’s stable of sports betting experts will deliver 24 hours of specialized coverage leading up to the game, including a special pre-game show hosted by legendary broadcaster and VSiN Managing Editor Brent Musburger. Brent and the rest of the team will deliver the latest information and exclusive insights right up to the coin drop. Following kick-off, former NFL executive and VSiN host Michael Lombardi will be among the panel of experts covering the in-game betting markets and provide ongoing market analysis. Brent will again take the helm at halftime to provide a full analysis up to that point. Big Game fans looking for the full VSiN team’s in-depth analysis and exclusive insights in one place can sign up to receive VSiN’s special Big Game Guide for free at vsin.com/big. For access to VSiN’s unmatched coverage of the betting markets all year long, sign up for a free trial. Anyone enjoying this year’s Big Game in Las Vegas is invited to join Brent and Michael, as well as legendary bookmakers Chris Andrews and Vinny Magliulo for “Betting & Buds with Brent,” a special tutorial on betting the Big Game. Held in the Grandview Lounge at the South Point Casino, Hotel and Spa on Friday, Feb. 1, at 5:30 p.m., the event welcomes beginners and sharps alike to discuss betting the Big Game. VSiN’s panel of experts will break down the lines as well as the hundreds of prop bets expected on the board this year. With $1 Budweiser products available from 5-8 p.m., this is a unique chance to have a Bud with Brent and get the latest news and analysis to inform Big Game wagers. VSiN’s newsroom studios are located in the sports books at the South Point Hotel, Casino and Spa in Las Vegas and the Ocean Resort in Atlantic City, New Jersey.